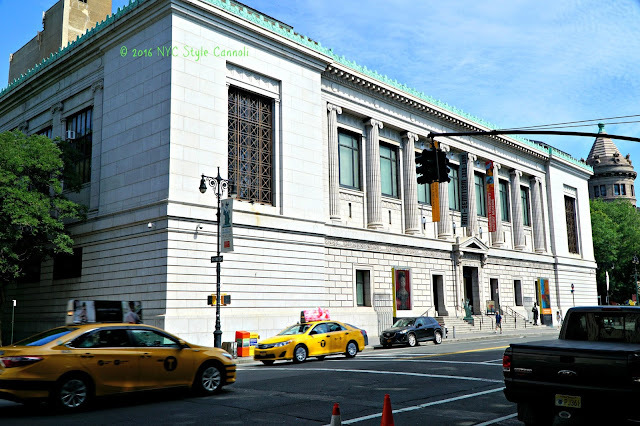 The New York Historical Society has been open since November 2011, and has been on my to-do list for a while. 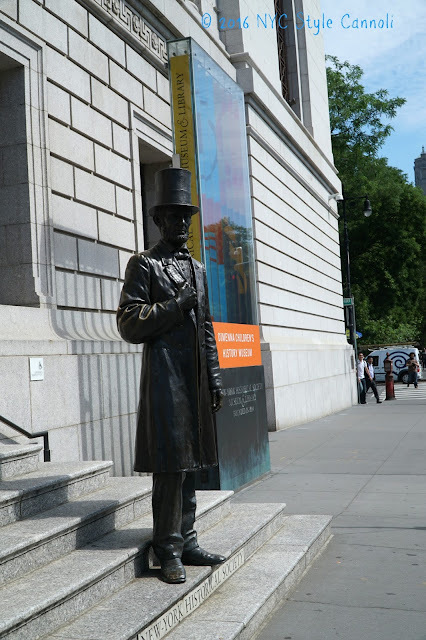 I finally had the chance to visit in June, and will be showing the museum to you in more detail coming up. On this 4th of July, I wanted to let you know the great activities they will be having about Alexander Hamilton. 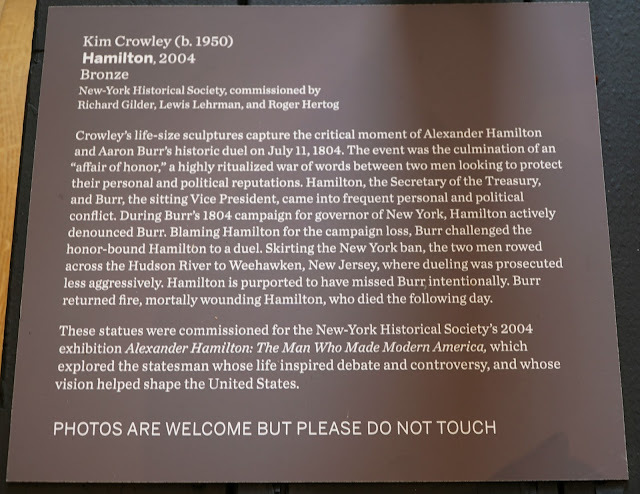 Since the play Hamilton has been just so successful, he has become quite the popular historical figure. Abe Lincoln greets you as you enter the historical society, who isn't a fan of Abe? 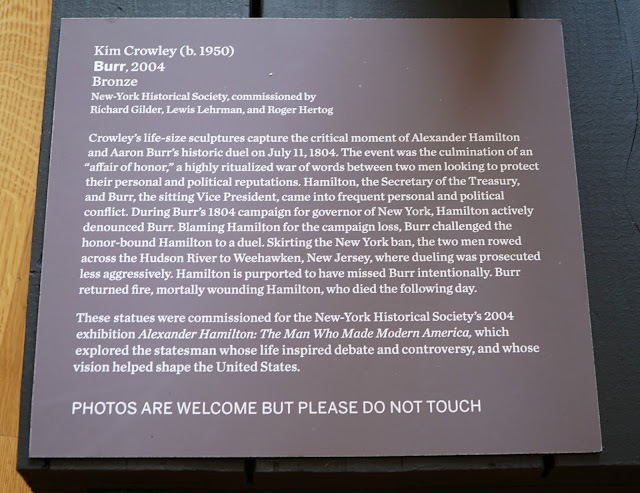 Summer of Hamilton is a museum-wide celebration of the life and remarkable achievements of the man who played a leading role in the Revolutionary War and the early years of the founding of the United States. 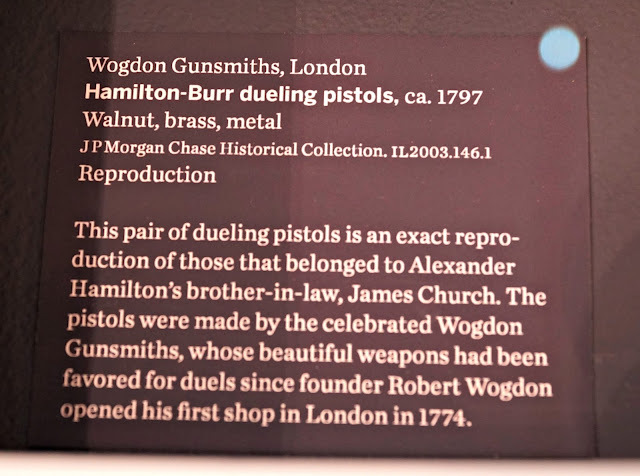 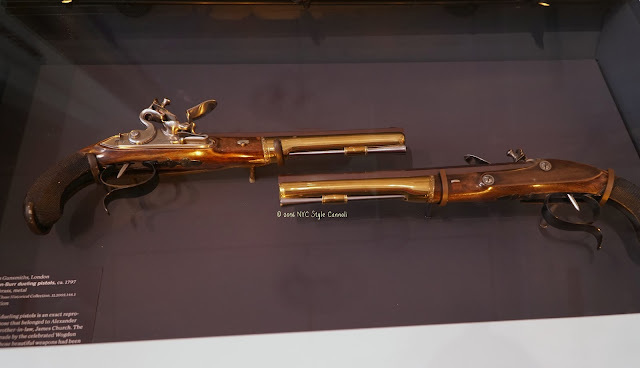 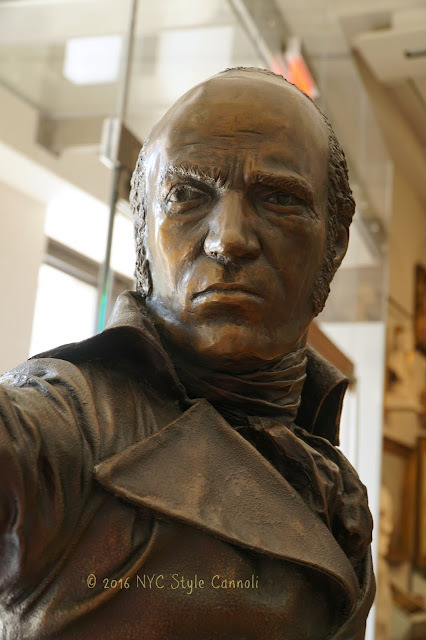 Among the highlights on view in our Smith Gallery during this exciting program are life-size bronze statues depicting Hamilton and Burr in the midst of their deadly duel, pistols drawn and aimed at one another; the monumental tall case clock presented by Hamilton in 1797 to the Bank of New York; and Hamilton’s desk, at which the prolific writer penned his correspondence, on loan from the Museum of the City of New York. 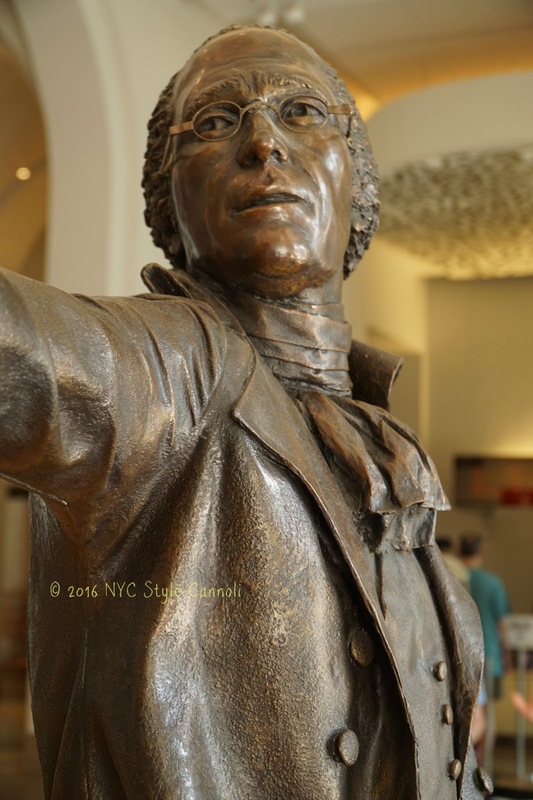 In the Patricia D. Klingenstein Library, documents from New-York Historical’s collection help answer the question posed in the musical―“who tells your story”―by focusing on Hamilton’s relationships with other Founding Fathers and his widow’s attempt to secure his place in history. 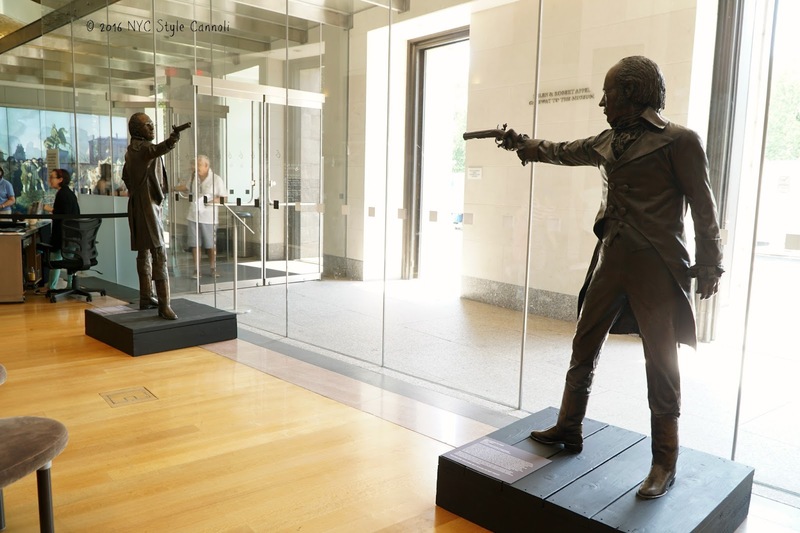 Summer of Hamilton also showcases a free film series on Friday nights that looks at the musicals that inspired Lin-Manuel Miranda's Hamilton, engaging and interactive conversations, and family-friendly programming.